Starting out as a filmmaker is a long and difficult journey. When you’re making a self-funded project, your budget is limited, your resources are tight, and hiring additional crew is impossible. Instead of giving up, you have to learn to get creative. You’re in the film business after all! So, creativity should come as second nature. The best place to buy low-budget equipment is online. Go to e-commerce sites like Amazon and Adorama to get a variety to choose from. An essential gadget to have when making a movie. – When it comes to affordable cameras, a great choice would be the Panasonic G80 and G7. It can shoot Ultra HD 4K and is the best entry-level choice. It comes with lenses and is able to produce great effects. – The 550d is an affordable choice that’s great if you treat it with care and respect what it can do. It is capable of producing fantastic results. – A great lens is required to capture the quality of the image. An affordable choice is the Canon 50mm 1.8. It is light but produces fantastic results. – For a wide angle, consider using the Canon 28mm 2.8. 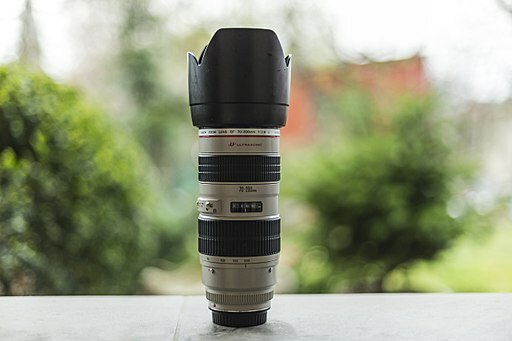 – For a telephoto, use a Canon 70-200 f/4. If you own a camera with the right sockets, you can obtain a better sound quality by buying additional sound equipment. – The NTG-2 and Tascam DR-100 Mk I are the best options when affordability is a factor. – If you’re looking for a portable, ‘easy to travel with’ recorder, then the Zoom H4n Digital Audio Recorder is the choice for you. – If this option is too expensive for you, you can create a soundtrack on your computer as you edit. If you have a camera like the G7, a tripod is an essential asset to move the camera smoothly and keep it still while shooting. – The Benro Aero 4 is a good option for an affordable tripod. It is sturdy, light, and can be easily converted into a monopod. – If you have a tighter budget, another good choice is the Slik 504QF11. – If you want a ‘lighter to carry’ option, opt for the 4-section Manfrotto XPRO. It can extend to 80 inches for overhead shots. – The Manbily A-222+M1 monopod kit is an affordable choice that you can also use when filming with an iPhone. A good stabilizer can also replace the need for tripods. – The Zhiyun Crane electronic stabilizer provides optimal results. The key to capturing the perfect image is the lighting. – For affordable options, look for an 800w Redhead from eBay. – 300 and 160 LEDs are also great choices for lighting up a room. These are the main equipment that you’ll be needing. Others include bags and cases, headphones, microphones, batteries, and memory cards. If you have a good story, then you should be able to make it work. The key is to keep it simple and not venture into external components that cost additional.